This study aimed to investigate the protective effects of hydrogen rich water on the intestinal ischemia/reperfusion (I/R) injury in a rat intestinal intussusception (II) model. Ninety Sprague-Dawley rats were randomly assigned into three groups (n = 30 per group). In sham group, rats received laparotomy, and the intestine was exposed for 15 minutes without II. In I/R + saline group and I/R + hydrogen group, rats received II after laparotomy and then intestine was relocated 8 hours later, followed by immediately intraperitoneal injection of normal saline and hydrogen rich water (HRW) (5 mL/kg), respectively. 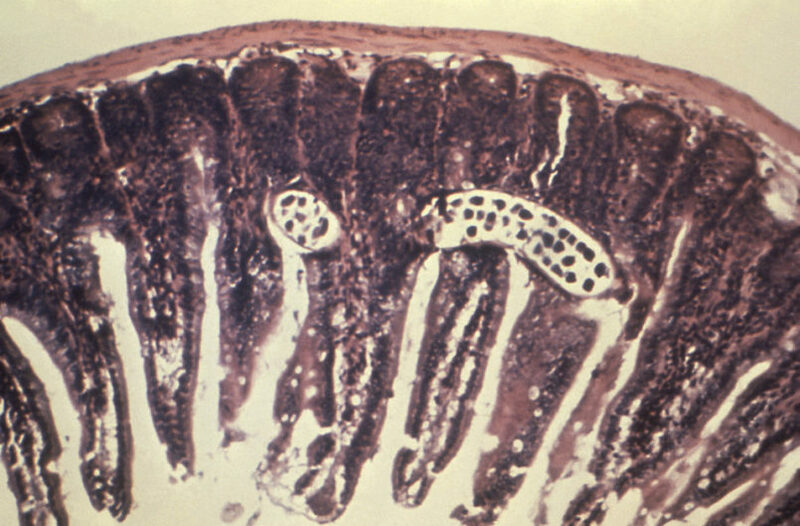 One hour later, the intestine was collected for hematoxylin-eosin staining and immunohistochemistry for apoptotic cells and 8-oxo-deoxyguanosine, and blood was harvested for detection of tumor necrosis factor-α, malondialdehyde and superoxide dismutase. Hematoxylin-eosin staining showed the intestinal mucosa was significantly damaged in I/R + saline group, which was markedly attenuated after HRW treatment. The serum tumor necrosis factor-α content increased significantly in I/R + saline group, but HRW treatment reduced serum tumor necrosis factor-α content as compared to I/R + saline group (P < 0.05). Serum malondialdehyde content and 8-oxo-deoxyguanosine positive cells in the intestine increased dramatically after II, but HRW significantly reduced them in I/R+hydrogen group (P < 0.05). In addition, superoxide dismutase activity reduced markedly and apoptotic cells increased in I/R + saline group as compared to sham group, but they HRW increased superoxide dismutase activity and reduced apoptotic cells significantly in I/R + hydrogen group (P < 0.05). The results indicate hydrogen rich water is able to attenuate II induced intestinal I/R injury via inhibiting intestinal inflammation, attenuating intestinal/serum oxidative stress and reducing apoptotic intestinal cells. Wu MJ, Chen M, Sang S, et al. Protective effects of hydrogen rich water on the intestinal ischemia/reperfusion injury due to intestinal intussusception in a rat model. Med Gas Res. 2017 Jun 30;7(2):101-106.